Worked on this 9x12 oil still life this morning. Still needs loads of tweaking. I promised myself that I would paint from life. If not outdoors, then from a still life set up. Just working from the real thing brings such joy and wonder and true awareness to the subject at hand. Happy painting everyone. With old age comes wisdom, so they say. Well here I am at the age I am and no longer afraid to fail. That in it of its self is a monumental achievement. Whether or not a painting is a success is no longer trick at preventing me to try, long story short, I love this gooey stuff called oil paint. Today was a fun day, so happy painting everyone. If you tilt your head to the left the lighthouse will look straight .HA HA! This was a quickie sketch that was done last week. I do like the composition and will probably do an oil, I will take my time and make sure the lighthouse stands straight. On Thursday there was a opening reception at the Lighthouse, it was a great time. The wine , crackers and cheese and the lovely music. 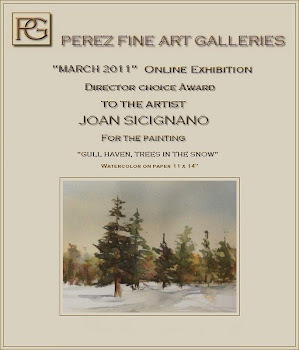 Two of my paintings were accepted and are on display for the month of June. Having a Heat Wave on L.I. Well, okay the top oil sketch is 11x14 painted on location, or I should say partially and worked on it at home. I did take plenty of photos and the home owner said I could go back and paint whenever I wanted. It was a lovely experience to take part in plein air event. My main focus was to capture the musicians on the porch. While we painted they played lovely enchanting music, simply wonderful. The second was another oil sketch, and 8x10, just had to go abstract with this one, there was so much to paint that day, everywhere I looked was a painting to be painted. Yes Bruce, thank you for your latest post, the house in this sketch looks like it wouldn't survive a slight wind. so it's back to the drawing board to do a better study of the structure and also the composition, noticed there is no lead into the painting. I'm learning, thanks to you with your post, more studies to do. Gotta say, it's a wonderful journey. Yesterday we had the garden plein air event. I was assigned to a lovely garden. I did a quick oil sketch, more for color notes so that I can continue at home. I also started one of her lovely house and flowers that will be worked on this week. I asked if I could return to do more plein air and she said yes. Very exciting. Painted with friends yesterday, finally getting the hang of the pochade box and how to mount it to the tripod. Worked in oils and once again, some much to learn and study. Happy painting all. Once again, my neighbor Nurcy has shared her lovely flowers with me. She is a wonderful gardener and her garden produces a wonderful display of magnificent flowers and not to mention her veggies. I look forward to looking out of my window to see what is in bloom. Good morning fellow bloggers. Yesterday Mike and I went to Lake Ronkonkoma, for some plein air sketching. I am so very proud of him, he did his very first watercolor sketch. Love his sky. Who was it who said "Follow me, the best is yet to come", how true, thank God. Many years ago, I did pet portraits and worked on commissions. It was great at the time, these three paintings I kept. Baby and Jasmine are my little guys that are no longer with us, so happy I have this painting. Today I have 18 of my paintings hanging in the Bayport-Bluepoint Library. I included these puppy paintings even though they were painted so long ago.